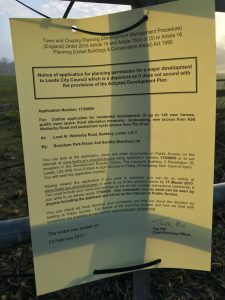 Selby Ltd (Lord Irwin & Patrick James) and Lane Fox are very rich men trying to profit from building on precious ‘Red Flagged’ Green Belt land that is a huge flood risk for all the residents nearby – including Collingham & East Keswick. Also the enormous additional volume of traffic (approx. 1100 extra vehicle journeys per day!) 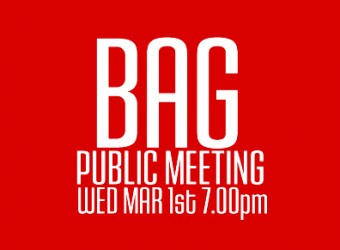 in a neighbourhood that is beyond capacity – including the local school and doctor’s surgery. The increase in sewage will create major health risks as the system will not accommodate 300+ more people in this confined area. 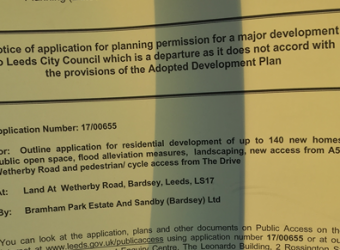 It is not the gift of the Bramham Estate to risk our homes and the precious environment we all live in so that these very wealthy people can attempt to perform this ‘con trick’ of refurbishing grade 1 listed buildings that only Flood Plain Fox will benefit from. 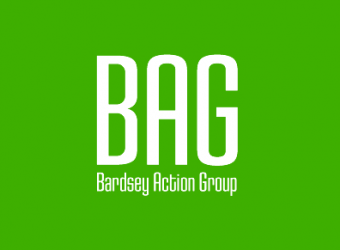 There is absolutely no confidence that any ‘flood mitigating’ engineering mechanisms will be effective on a flood plain with a full water table – and as we will all be the victims if it doesn’t work – we reject any such proposals completely. 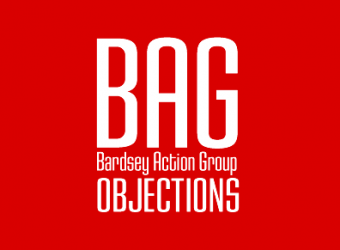 It’s spectacularly irresponsible environmentally, utterly impractical, as it will seriously damage the village and it’s surroundings and it’s totally unethical. Why don’t they ask for Planning Permission to build these houses within the Bramham Estate adjacent to the A1 and preserve this ‘red flagged’ Green Belt area? 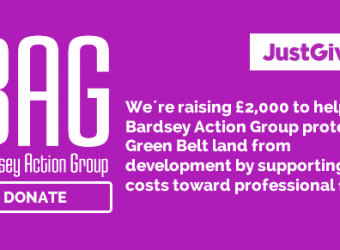 Weʼre raising £2,000 to help Bardsey Action Group protect Green Belt land from development by supporting costs toward professional fees.